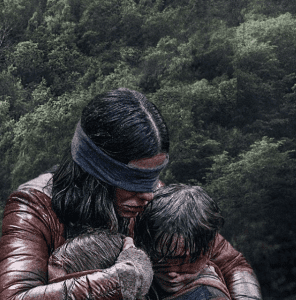 An overabundance of Twitter memes, tactical marketing and word of mouth have made it near impossible to escape the tidal wave of popularity Bird Box has received. Netflix haven’t got the best track record when it comes to original movies, and they don’t seem to be setting that straight anytime soon. Sandra Bullock (Ocean’s 8, Speed) leads us through an ‘A Quiet Place’ inspired horror movie that produces the same levels of excitement that can be replicated by opening a window or arranging your cans of deodorant in alphabetical order. If you hadn’t clicked on, you could say we weren’t hugely fascinated, interested or excited by Bird Box. Our main vice is that the film ruins any notion of suspense within its few moments. By seeing Bullock alone with two children aptly named ‘Boy’ and ‘Girl’, we can assume any character she interacts with in the lengthy flashback scenes die or disappear. With that in mind the whole way through, there’s a definite breakdown of suspense, a feeling that would’ve been greatly utilised if it weren’t for the very broken narrative. Bullock’s choice as the lead is an odd one, we can’t really imagine her being the lead of any movie these days. Still, she struggles through a horrendous script. 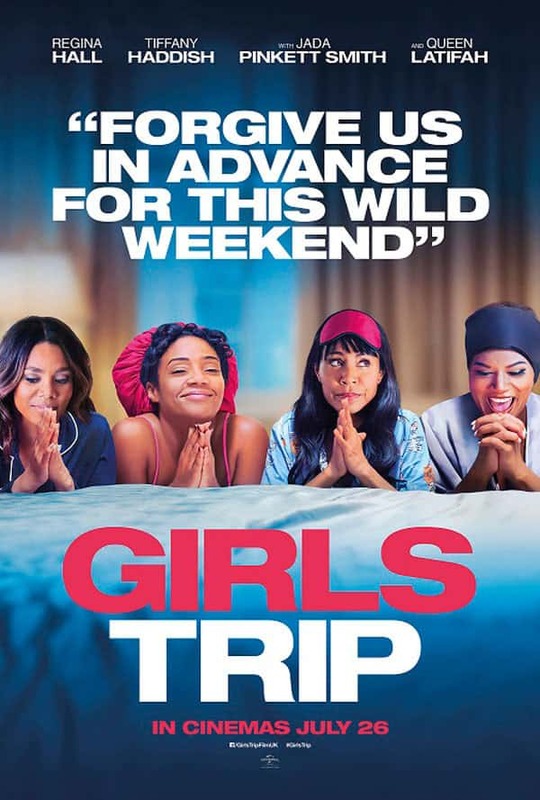 Laughably bad at some times, there is no greater movie sin than breaking your own rules. We don’t learn all that much about the mysterious monsters in this movie, but what we do know is that they show you your greatest fear, so great in fact that the viewer has the immediate urge to kill themselves. By all means, it’s an interesting concept, but it’s one riddled with plot holes. One instance of this broken story is through the character of Tom Hollander (In the Loop, Bohemian Rhapsody). By all means, it’s a solid performance (but that’s to be expected from such a superb actor), yet his motif and character arc make little to no sense. Formerly insane, Hollander’s goal is now to open others up to seeing whatever the monster may be. What isn’t explained however is why him being insane allows him to see the monster himself. Also, why does he act sane for such a long period of time before suddenly deciding to destroy the group in their entirety? His role raises more questions than answers. If anything, it just goes to show what lengths we will take to watch a film that has John Malkovich (Being John Malkovich, Of Mice and Men) in a supporting role. Not even that good of a supporting role either, his literal presence in the film was enough to get us through. He’s totally underutilised, as is the incredible BD Wong (Jurassic Park, Executive Decision), who barely makes it through twenty minutes of screen time before being offed in a tremendously dull fashion. A trend here seems to be the under-utilisation of superb actors, as we’re only just realising Sarah Paulson (Carol, The Post) appears for all of five minutes. Maybe we’re a little bit miffed about the movie, or maybe it’s because we’ve seen A Quiet Place and see Bird Box as more a carbon copy ripoff than anything unique or interesting. 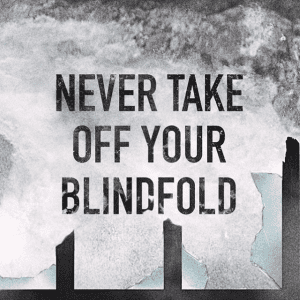 With very few shining moments and an inherently toxic fan base to boot, we would only recommend Bird Box if you’re going to watch it with a blindfold on. And the sound off. Love this. I think it’s pretty accurate and agree with it all!